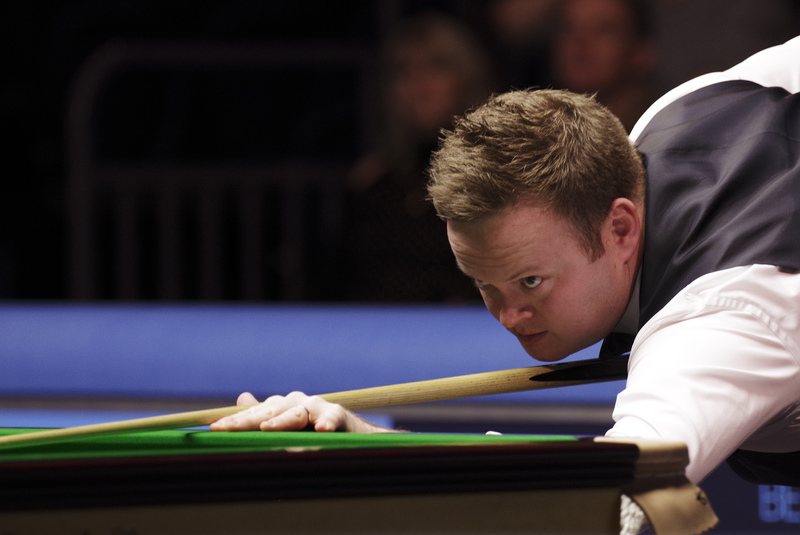 Semi Finals day in Glasgow delivered this Final line-up: it’s Mark Allen v Shaun Murphy. So, despite the top 3 players skipping the event and any number of early exits, we still have two of the top 16 in the Final. Shaun Murphy put on a superb display to defeat world number five Judd Trump 6-3 and reach the final of the BetVictor Scottish Open in Glasgow. 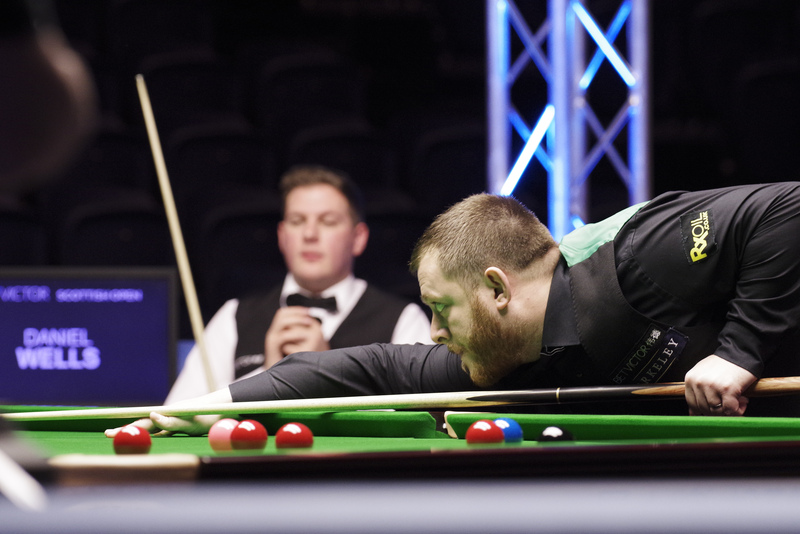 That sets up a mouth-watering showpiece clash between Murphy and one of his best friends Mark Allen. It’s the Magician who has a 10-4 lead in their head-to-head record. However, their contrasting fortunes so far this season see the Pistol head into the clash as the form player. Masters champion Allen is enjoying one of his most consistent campaigns on the World Snooker Tour, having already won the International Championship and been runner-up at last week’s UK Championship. While 2005 World Champion Murphy has suffered six first round exits so far this season. However, this evening’s performance showcased an emphatic return to form. Murphy came out of the blocks at breakneck speed. Incredibly he mopped up the first three frames in just 25 minutes, making breaks of 89, 93 and 70 to establish a 3-0 advantage. A fine break of 69 saw Trump notch up his first frame and stay in touch at the interval. When they returned Murphy reasserted his authority with a run of 82 to make it 4-1. The 2011 UK Champion Trump claimed the next, before a dramatic seventh frame. Murphy found himself needing pink and black to move just one from victory. After doubling the pink, he missed a cut-back black. That afforded Trump the opportunity to pull within one, he duly obliged and made it 4-3. Triple Crown winner Murphy won a tense eighth and then got himself over the line in style with a break of 71 in the ninth. Murphy said: “To play like that, having improved each match, is beyond my wildest dreams. I came here this week just trying to turn things around. I didn’t expect to be talking about going into the final. I’m really excited. “Working with Chris Henry again has been very important. He has come over from Bruges with our old notebooks from four or five years ago and we have made some technical changes. That was an immediate fix. Then it is about those six inches between your ears. You don’t realise how far you have let your mentality go until an expert in the field points it out to you. Then you can start looking yourself in the mirror and having some serious conversations. Now this all looks so very serious in those reports but, regarding the Allen v Wells match, the reality is slightly more hilarious. The truth is that Mark Allen arrived in Glasgow determined to have a “good week” and “enjoy himself”, which basically means having a drink or ten with mates in evenings! And i’s exactly what he did. So yesterday, as he freely admitted afterwards, he came to his match badly hungover and couldn’t pot a ball for his life until the MSI. During said MSI, the pundits were discussing what was going on and what each player had to do, and Ronnie who had mainly kept silent until directly asked the question, advised “a few beers” for Allen. He may well have known exactly what state Allen was in because they are good mates. And whilst they were discussing it … Allen was doing exactly that: having a few drinks. He came back like Lazarus after that! From 4-0 and 5-2 down! But Daniel Wells will kick himself because he could and should have won this match. What happened is that instead of taking his chances, he started defending his lead. That doesn’t work, not against a top player in the modern game. Daniel had the best run of his career, he has a lot of positives to take, and, hopefully, he will learn from the experience too. Allen’s postmatch was hilarious. He freely admitted to his “sins” and was totally unrepentant, clearly planning more of the same in the evening. And Jimmy, of all people, preaching moderation and trying to talk him out of this inebriated plan was quite amusing. The Shaun Murphy v Judd Trump semi final was a bit more conventional. The way Shaun played in the first three frames was phenomenal. And then, all of a sudden, doubts crept in after Judd managed to win the last frame before the MSI. Shaun started missing all sorts. But Judd was missing as well, demonstrating once again that, under pressure, he’s vulnerable, especially when he is expected to win. No signs of Judd quotes after the match suggest that he didn’t take the defeat well. And, of course, today is also SPOTY day. Let’s see if snooker gets more that a 15 seconds mention this time. I wouldn’t hold my breath over it.